He said: "It's as natural to us as the slot machines in the laundromat." Speaking about their performance of 'Mr Brightside', he said that of the "1500 times we've played it, that was the craziest". 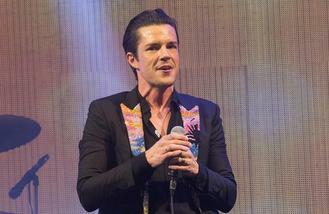 Brandon was in high spirits as he took to the stage, telling the crowd: "It's good to be here. They say you play the John Peel Stage twice in your career - once on the way up, and once on the way down. It's great to be back." They wowed those in attendance with hits including 'Human', 'All These Things That I've Done' and 'When We Were Young', while also introducing new single 'The Man' with the words "This one's for the ladies."